The super compact, fully integrated servo amplifiers DC 061 & DC 062 of the S-DIAS series, with a rated power of 300 W, are designed to control synchronous servo motors up to 6 A of continuous current at 48 V DC (peak current 15 A). 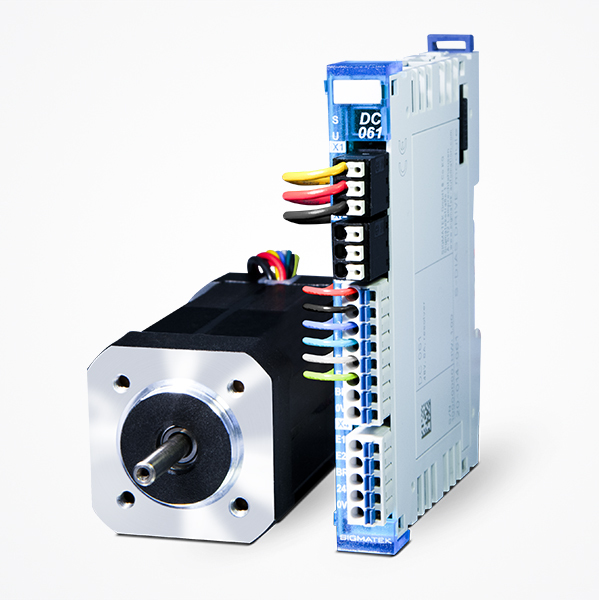 A standard resolver (DC 061) or incremental encoder input (DC 062) for position feedback, a 24 V DC output for controlling a holding brake and a 2-channel enable input used as an STO Safe Torque Off (SIL 3, Cat. 4, PL e) are also integrated.